24 stainless paiting ball for making IC Tin ball is a needed tool when you have to exchange BGA parts of your phone. 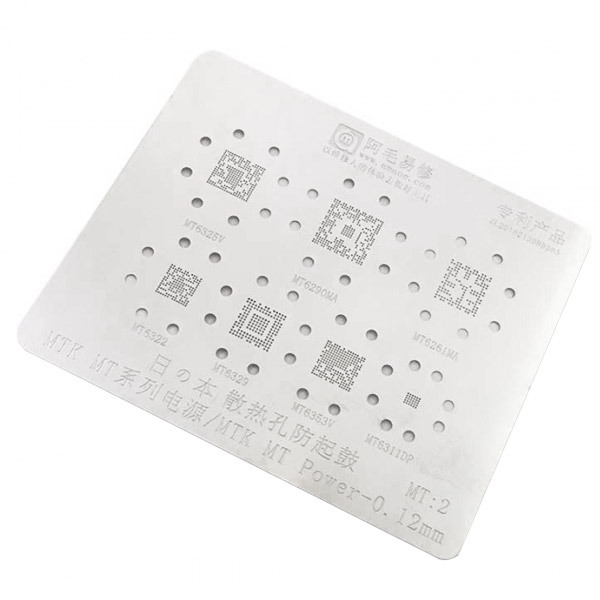 BGA for iPhone 5 - UD p3012 plaiting kit it's a matrix for that's needed tool when you have to exchange BGA parts of your phone. BGA for SonyEricsson A2 plaiting kit it's a matrix for that's needed tool when you have to exchange BGA parts of your phone. 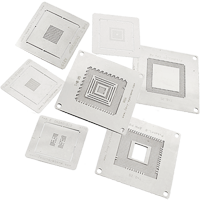 BGA MTK MT / MT Power (MT: 2) 0.12mm stencils enable reballing: MT6325V, MT6290MA, MT6261MA, MT6322, MT6329, MT6353V, MT6311DP. 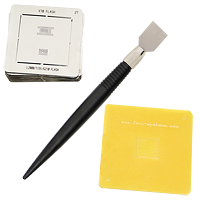 BGA phone reballing system JV-RKC Jovy This reballing kit includes 55 BGA stencils specially designed to repair components of most popular models, pallet spatula for BGA paste application and stencil holder. 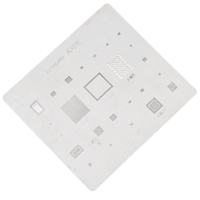 BGA Plane for Iphone 3GS it's a matrix for that's needed tool when you have to exchange BGA parts of your phone. 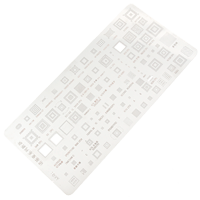 BGA Plate Nokia 09 new model plaiting kit it's a matrix for that's needed tool when you have to exchange BGA parts of your phone. BGA Plate Nokia N97/N85/N82 plaiting kit it's a matrix for that's needed tool when you have to exchange BGA parts of your phone. 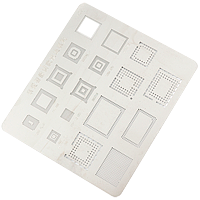 BGA reballing stencils JV-RMP is set for Sony PlayStation 3 repair. 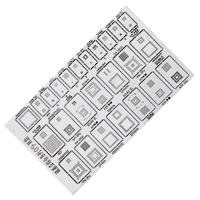 Set includes 3 rework stencils to reball RSX (Reality Synthesizer), CELL/B.E. (Cell Broadband Engine) and EE+GS PS2 (emotion engine & Graphic synthesizer) using BGA balls and 4 rework stencils to reball CXD9208 GP, Si9132CBU, CXP713120 and the flash 06280W019 using the solder paste. 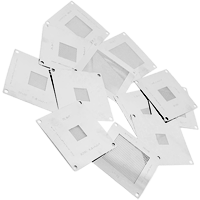 BGA reballing stencils JV-RMS set of 12 pcs. 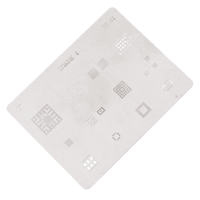 universal BGA rework stencils for repair of most of the IC types, pitch, sizes, ball matrix and patterns. 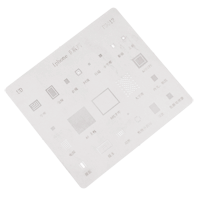 BGA stencil for iPhone 4 (P3001) is chip ball template for BGA IC after reballing. 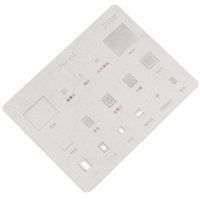 BGA stencil for iPhone 4S (JP3006) is chip ball template for BGA IC after reballing. 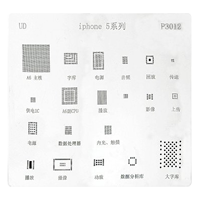 BGA stencil for iPhone 5 (P3012) is chip ball template for BGA IC after reballing. 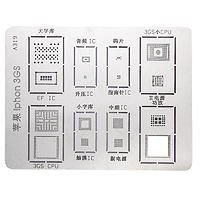 BGA stencil for iPhone 5S (P3025) is chip ball template for BGA IC after reballing.